at the appointed "Hours of Prayer," or keeping those hours as times of private devotion. Prayer," as services supplemental to the central Eucharistic Rite. Mass, held its position of supremacy unchallenged and unrivalled. the clergy, attended these supplemental services in great numbers. this duty either alone, or with one or more of his brethren. (Apost. the Council of Laodicea (A. D. 387) echoes these directions. of various Third Orders associated with a Monastic Community. of prayer known as the Breviary, or often called the Daily Office. form and indicates it is published apart from the Altar Missal. part of the Eucharist (the Proanaphora or Mass of the Catechumens). and also on Sunday, the Lord’s Day (the Apostles met on the first day of the week). Praise, Thanksgiving, and Adoration which is His due, and the sanctification of souls. 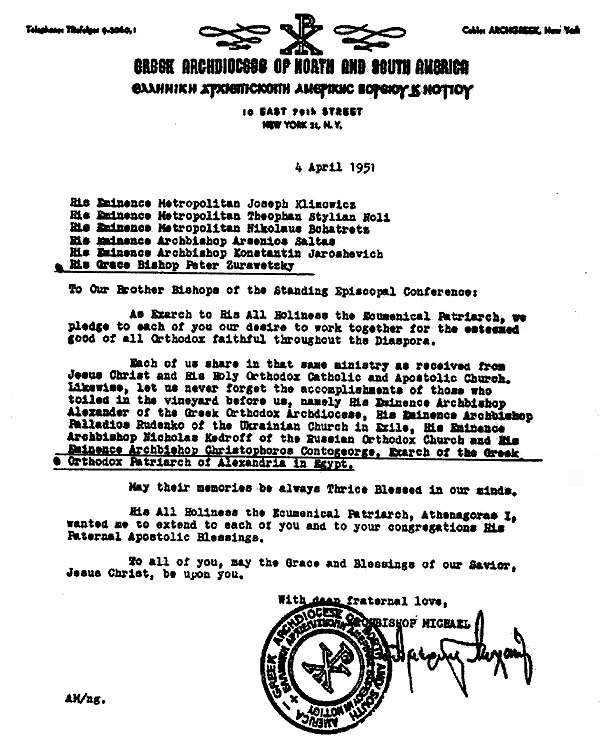 The term Divine Office means divine duty and refers to the obligation of all ordained clergy in the Celtic Orthodox Church to offer the Sacrifice of the Mass and to daily pray the full Monastic Divine Office according to this ancient formula of the Psalms, Readings, Prayers and Inspirited Songs of the Divine Office. The Divine Office reflects the faith and worship of our Holy Fathers in the Celtic Orthodox and Catholic tradition. The book containing the prayers of the Divine Office is called a Breviary. In the early church the Divine Office was published in the back of the Altar Missal but with the passing of time it was proven to be more convenient for Priests to have the Divine Office in a separate volume. The term Breviary means shortened indicating it was published apart from the Altar Missal. St. Benedict called the praying of the Divine Office the “Opus Dei”, meaning in Latin “the work of God”. Next to the Holy Mass, the Monastic Divine Office is the most important prayer offered to God. It is offered by the Church and in the name of the Church, conferring multifold graces and blessings on those who recite it worthily, attentively and devoutly. The Divine Office is an extension of the Divine Sacrifice of the Mass and draws its breath from the Mass of the day. The Church lives in time and with time. This truth is brought out beautifully in the canonical hours. They provide a perfect way to consecrate the whole day to God and make it holy. The admonition of our Lord, that we are to pray and not grow weary, is thus perfectly fulfilled. For every part of the day the Church has drawn up a special prayer-form, an hour, as it is called, that corresponds to the particular need of that time of the day. The day is like a journey through an arid desert, but every three hours we come upon an oasis that offers us the waters of grace and the cool refreshing shade of heavenly assistance. Spiritually we may revive ourselves at the canonical hours of prayer. 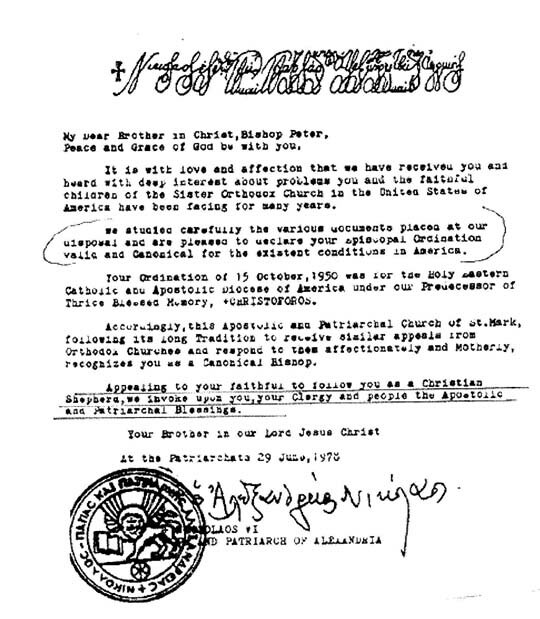 The Apostolic Constitution made mandatory the daily praying of the Divine Office for all clergy. The theme of a canonical hour is that special thought or motivation to prayer that arises from the needs of that time of day: it is the hour's prayer intention. The background from the story of salvation is the mystery or event which bears upon the hour and should enter into the prayer intention while the hour is being prayed; it should be an illustration for the text of the prayer, to channel and intensify the spirit of devotion (eg., Terce—descent of the Holy Ghost). It is night. The turmoil of day has died away and everything is still. The Church is at prayer. She remembers the night-time prayer of the Bridegroom; she thinks of the night vigils of the early Christians in the catacombs. Times have changed, but the Church continues to insist that night is not just for sleep; night is a time for prayer. From earliest ages Matins was the Church's prayer for the Second Coming; she prayed and waited for the return of Christ as Judge of all the world. Night is also a symbol of life on earth. We are like the virgins in the parable, waiting for the Bridegroom with our lamps in hand. In place of a theme proper to the time of day there is generally some theme from the feast being celebrated that day, a theme which is expressed in the readings (or lessons, as they are called which number either three or nine depending on the day and feast) and the other variable parts. On feast days, Matins is a meditation on the feast, a drama of prayer. In order to assimilate the full meaning of a feast, it is necessary to examine Matins. Many feast-day Matins are masterpieces of composition, for example, the Tenebræ services on Thursday, Friday and Saturday of Holy Week, the Office of the Dead, the consecration of a church, Corpus Christi. The psalms of week-day Matins are mostly a prayerful meditation on the kingdom of God, a preparation for fitting the coming day into its proper place in the divine plan of redemption. Matins has a splendid introduction, the invitatory, and on feast days, Sundays outside the penitential seasons, and during Eastertide, a grand conclusion, the “Te Deum”. The invitatory, or introduction song, combined with the powerfully stirring Psalm 94, is a liturgical masterpiece. But in order to sense the full, dramatic dynamism of the invitatory, one must hear it in its final form of development, sung in choir during the night watch of early dawn. On Christmas, for example, the joyous tidings “Christus natus est nobis” (Christ is born unto us), resound through the choir like a mighty proclamation, a veritable Gospel of good tidings in the still of night, and perfect overture to the solemnity of the day's liturgy. Lauds is a jubilant hour, fresh as the morning dew, perhaps the most beautiful of all the hours. Its symbolism deserves attention. It is night; nature and men are asleep. In the Far East the grey of dawn appears; then the ruddy hue of morning, the harbinger of a new day, spreads across the horizon, and the world of nature begins to stir. But all this natural beauty is only a symbol and reminder of a most wonderful event in the story of salvation. It was at this beautiful hour that our Savior burst the bonds of death. Resurrection—that is the background theme of Lauds. And the two pictures together, dawn and resurrection, remind us of a third arising from slumber, the spiritual awakening of the human soul. There is, then, a threefold resurrection: nature awakens, the Savior rises from the dead, the human soul celebrates its spiritual resurrection. Such is the background to our prayer of Lauds. It is an explicit song of praise; praise is the hour's central theme. If we can get a feeling for these three pictures intermingling in our Lauds prayer, if we can enter into the spirit of this threefold resurrection, if we can enlist the forces of nature to pray and praise and exult along with us while reciting this hour reasonably early in the morning, perhaps even in the open air, then we are certain to be struck by the full impact of its meaning. Lauds is, actually, one of the most striking examples of what a proper observance of the characteristic thought of an hour and the background theme from the story of salvation can do for personal devotion. The psalms at Lauds are all specially chosen hymns of praise. The climax of Lauds is the Gospel song, the “Benedictus”. It is a hymn in praise of man's redemption, a greeting to the dawning day of salvation which is destined to be one more step toward its completion. It is the Church who prays the Benedictus taking Zachary's place. Every day is a new coming of the Redeemer, and the Church greets her Savior as the "Day-Spring from on high". Sunday and feast-day Lauds are classically beautiful. First the praises of awakening nature before God the King upon his throne, the earth, decked with all the wonders of creation, Victor over the primeval chaos. Prime is the Church's second Morning Prayer, quite different in tone from Lauds. Lauds is the ideal morning prayer, a "resurrection song" of all creation and of the Church. Prime is the morning prayer of a sinful human, a subjective prayer. The basic theme of Prime is dedication of and preparation for the day's labors and conflicts. This theme runs through the whole hour. There is no special reference to any chapter in the story of salvation. Thus, the theme of the canonical hour, preparing for the day, assumes the center of attention, and indeed to such an extent that even on feast days, themes proper to the feast are generally suppressed at Prime. The hymn at Prime enlists all our efforts and abilities in the service of the Lord and arms us against imminent dangers—perfectly in harmony with Prime's basic theme. 9 o'clock. The Church wants us to pause briefly during our day's activity and raise our hearts to God; that is the purpose underlying the little hours. They are a chance to catch our breath, an oasis in our desert wanderings. It is important that we do not pray them all at once, but whenever possible we should pray them at the corresponding hour of the day as a renewed consecration of the day's work. The little hours are short, because the day is for work. The story of salvation has a role to play in Terce: it was the third hour (9:00) when the Holy Ghost came down upon the young Christian community on Pentecost Sunday (Pentecost Terce begins with the hymn Veni Creator). Quite appropriately, the Church recalls this mystery in the hour of Terce: Terce is thus the "first Confirmation", a strengthening for the conflicts of the day. The hour's theme is invocation of the Holy Ghost. The hymns proper to the little hours are a further development of the theme proper to each, and to the corresponding time of day. 12:00 noon. Theme of the hour: The day's conflict is at its climax, the heat of passion is at its strongest, the powers of hell have greater influence over man, our lower nature seems to have gained mastery. Theme from the story of salvation: the Savior is hanging on the Cross (12:00 to 3:00); hell is bringing all its forces to bear against him. This scene from Good Friday is the background for Sext; foreground is the battle against sin in us and in the Church. "Lead us not into temptation" is the message of this hour. 3:00 to 6:00. This day of salvation is slowly beginning its decline. Our thoughts are taken up with the end of life. Looking to my future I ask: will I persevere? Perseverance is the hour's theme. There is no theme from the story of salvation. At the most there is eschatological shading—the last things. Vespers, or Evensong, is the Church's evening prayer. It is very similar to Lauds, both in construction and in basic theme. The Church looks back on the day of salvation just passed with all its redeeming graces—and is fervently grateful. Vespers is a thanksgiving prayer. Thanksgiving is the principal theme: the “Magnificat” is the climax, the great thanksgiving song of the Church. The canonical-hour theme is this: thanks be to God for the day just passed, both in the soul and in the Church, thanks for all his saving graces. There is also a theme from the story of salvation to be found in Vespers—the Last Supper. At the very same time that Vespers is prayed, Christ was seated with his apostles in the upper room. This gives Vespers a special connection with the holy Eucharist, and as a matter of fact, a great number of the Vesper psalms are Eucharistic songs or at least can easily be referred to the Eucharist. This is particularly true of the so-called Hallel psalms (Psalms 112-117), which were sung at the Last Supper, and the Gradual psalms (Psalms 119-131), which were procession songs for pilgrimages to the temple. The Last Supper is itself a symbol of the heavenly banquet. Compline is the Church's second evening prayer, and as opposed to Vespers, it is a subjective and individual prayer for the sinful soul who wants to make her peace with God. The hour is a masterpiece of construction, the work of St. Benedict; we might call it the ideal night prayer. Particularly beautiful is the symbolism of Compline. The hour begins uniquely without introduction, and at once halts for an examination of conscience and an act of contrition. Light and sun are favorite Scriptural and liturgical symbols of God, Christ, the divine life. Christ is the divine Sun, the Christian is a child of the Sun. These thoughts are to be found frequently in the hours. But also the opposite of light, night and darkness, is a frequent liturgical symbol for the sinister power of the devil; night is the cloak for the prince of this world. The child of God, being a creature of light, is afraid of the night. Like a tiny chick he huddles beneath his mother's wings; there he is safe from the attacks of the hawk, Satan. It is important to notice that our liturgical prayer thinks not only of ourselves, but of all our fellow men: for them too it is evening now, an evening of temptation, sin and death. It is a matter of experience for all of us that the devil particularly likes to use the hours of night for setting the snares of his temptations. It is almost as if hell were depopulated every evening and hosts of evil spirits came as agents of sin to plague the earth. How many sins does the night cover with her thick black veil! The religious soul prays this night prayer for his own protection from the powers of darkness and for all souls, everywhere. Sleep, too, is a symbol, an image of death. Spontaneously we think of death when we go to sleep—Compline is also a night prayer to life, a plea for a happy death. It is precisely in this setting that it contains some splendid thoughts. The short and meaningful blessing at the beginning of Compline expresses the double application of the night prayer very concisely: "May the Lord Almighty grant us a quiet night and a perfect end." Background from the story of salvation is the agony of Jesus in Gethsemane; we pray Compline for the Gethsemane hours in our life. Thus, the hour expresses earnest petition; contrition, plea for protection, and deepest confidence are its main elements. Particularly beautiful is the invariable part which immediately follows the psalms. First there is a night-prayer hymn, then the consoling chapter "Thou, O Lord, art in the midst of us..." Jesus is in our midst, it is in his name that we are gathered. "Leave us not." That is the main theme, the chief petition—it is repeated and amplified in the Responsory that follows. Two images of death come next; the first, Jesus hanging on the Cross and uttering his last words: Father into thy hands I commend my spirit. We pray the same words, repeatedly, from our heart: Father, Redeemer, into thy hands I now commend my soul for this night-time of the day, of my life, of my soul. The following Versicle stresses two particularly apt images for night time. (a) Keep us as the apple of an eye. We need protection just as much as the delicate organism of the eye, and we hope to be as dear to God as his own eye. (b) Hide me under the shadow of thy wings. Like little chicks running for shelter to the mother hen. Another reference to death occurs in the canticle from the Gospel, old Simeon's swan song. He holds the child Jesus in his hands; his dearest longing has just been fulfilled: he has seen the Redeemer and now he begs to be dismissed from his lifelong service to God. We are in a similar position: we bear the mystical Savior in our hands and in our hearts, the saving graces of the day. Our eyes have seen "his salvation," the divine "light" has risen for us, Christ is our "glory." Now we, too, can pray to be dismissed from service; it is the night of rest that follows the day's work. We are God's hired laborers and we must be ready every day to be dismissed by him. These two themes of death are magnificently done. The antiphon to Simeon's canticle is also very rich. Bodily and spiritual waking and sleeping intermingle: Save us, O Lord, waking, guard us sleeping (at night), that awake we may watch with Christ (in life, through grace), and asleep we may rest in peace (by a happy death). Again and again, we cannot help noticing that Compline is a night prayer and a prayer for a happy death. OUR APOSTOLIC LINE OF SUCCESSION IS ACCEPTED BY WORLD ORTHODOXY. 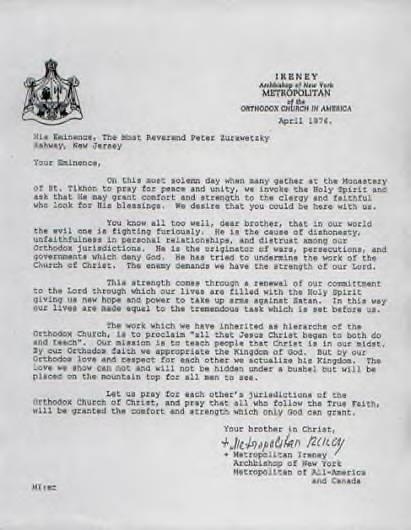 REMEMBER AS YOU READ THESE LETTERS OF AFFIRMATION THE BISHOPS BEING ACCLAIMED AS PART OF WORLD ORTHODOXY WITH GRACE FILLED AND SPIRIT FILLED ORDERS ARE NOT SUBJECT TO ANY OLD WORLD PATRIARCH, YET THE PATRIARCHS ACCEPT THEM AS EQUAL BISHOPS IN THE LARGER CHURCH WITH THE SAME APOSTOLIC MISSION. LETTER OF RECOGNITION FROM THE O.C.A. WE ARE SUCCESSORS TO THE APOSTLES, IN UNION WITH THE ORIGINAL 12 AND ALL THOSE WHO CAME AFTER THEM AND WITH ALL THOSE WHO WILL COME AFTER US. APOSTOLIC SUCCESSION OF BISHOP BRIAN KENNEDY, O.S.B. UNDER SECTION 501 ( c ) 3 OF THE INTERNAL REVENUE SERVICE .